Happy February, all. I apologize for the lack of a New Year's/January prompt, but hopefully the rest of 2018 will be cooperative and we will have prompts each month on the first. 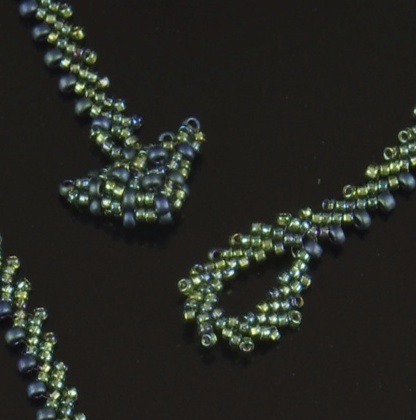 I did put out in the FB group that you could use bead embroidery as a prompt for January but there was no actual prompt or post. This month I thought we would work with a stitch that is fairly under-used, but really gorgeous. St. Petersburg chain is slightly daunting to learn at first, but quickly becomes easier with repetition, and results in a beautiful, almost braided, look. 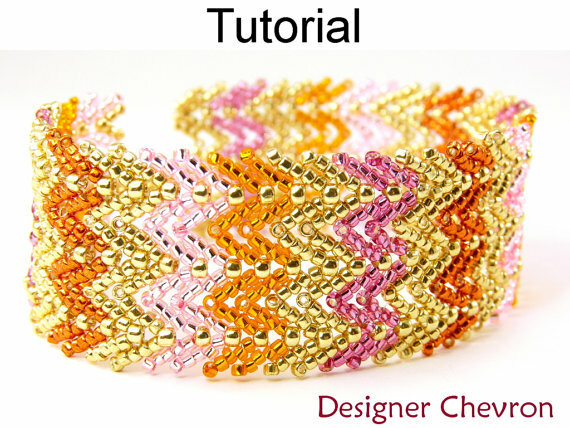 It can be worked in single rows, with a wonderfully jagged sort of look, or in double rows for more of a chevron feel. Because there are so many steps to the initial stitches, it looks more complex than it is to weave once you get going. I STILL refer to diagrams or my own instructions when I start one, my brain just won't retain the first few steps - but once it's started, it gains a rhythm that can be quite addictive. 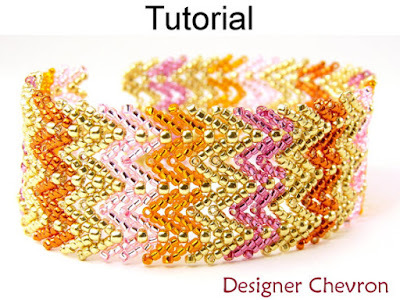 You can make the single chain, a double chain, or hook more and more doubled chains together and come up with very different results. 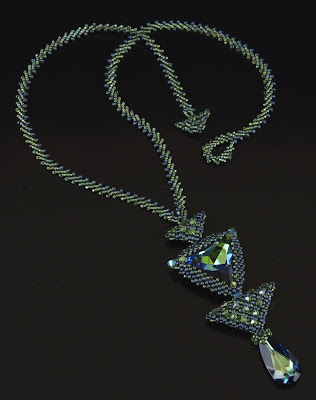 This necklace I did awhile back has straps made from the single row - they look like diagonal peyote or little teeth, to me. I designed In Bloom with St Petersburg chain, but I joined the two strands together differently, so that each of the single chains are made separately and THEN joined. 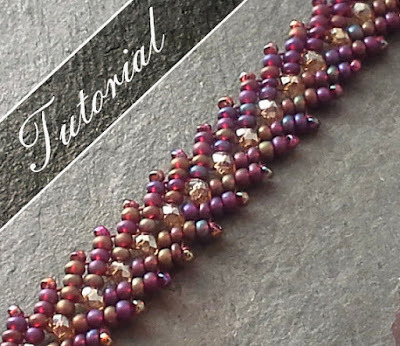 There is a free tutorial located on The Spruce that I found, if you haven't ever tried this stitch before, and the link for that is HERE. There are various other free ones around, too, if you Google - many YouTube videos as well, if you're more of a video leaning learner. 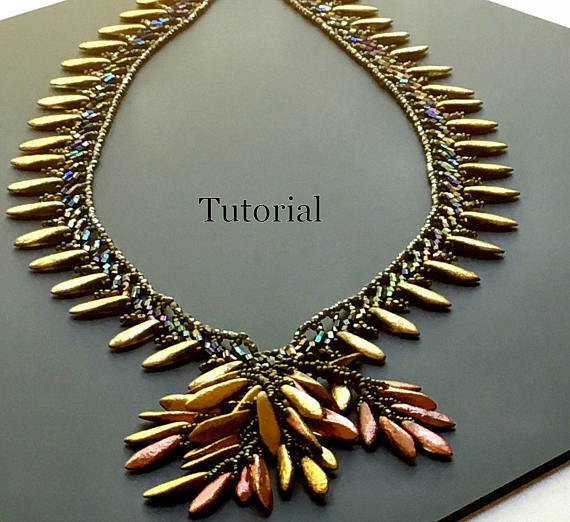 If you'd like to support your small business designer, Valorie Clifton has a very reasonably priced St Petersburg workshop tutorial (photo below) on Etsy HERE. and you can find that HERE. 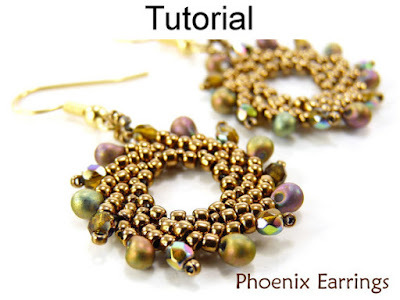 Simple Bead Patterns has these lovely Pheonix earrings HERE, as well as a pretty chevron looking bracelet tutorial that shows how to add more and more chains together. My In Bloom tutorial is available HERE if you'd like to try it. :) I hope you enjoy this month's prompt and do try it out - I really like this stitch and would love to see more versions in the group. 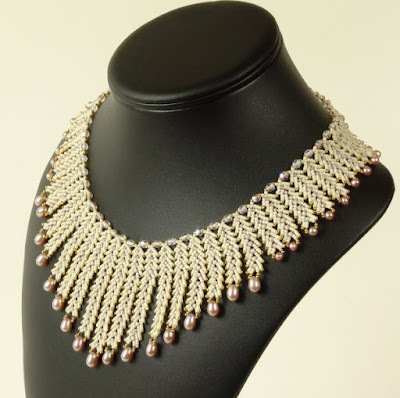 Happy beading until next month!